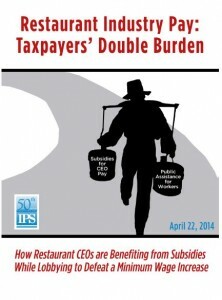 The CEOs of America’s 20 largest restaurant chains must be providing diners some mighty fine service. Their ‘performance’ is costing Uncle Sam nearly a quarter-billion dollars a year. America’s food-service giants, this new study documents, are growing the gap between the nation’s rich and everyone else. 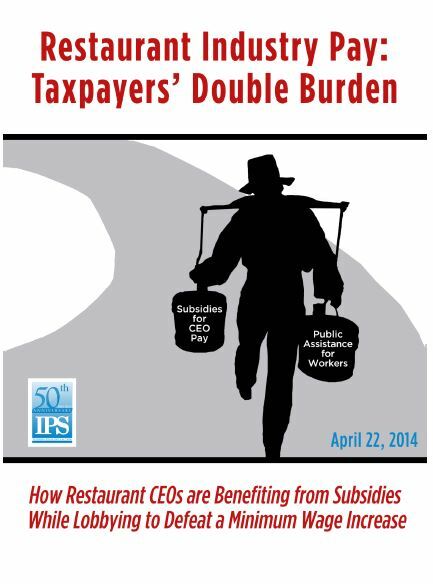 Over half of restaurant workers have to depend on food stamps and other taxpayer-subsidized safety net programs. Fast-food CEO pay has quadrupled since 2000. The fast-food industry, the new Demos Fast Food Failure study goes on to observe, now sports America’s widest corporate pay gap between CEO and workers. Fast-food chief execs in 2012 took home over 1,200 times the pay of average fast-food workers. In 2013, calculates study author Catherine Ruetschlin, the ratio once again topped over 1,000 times.